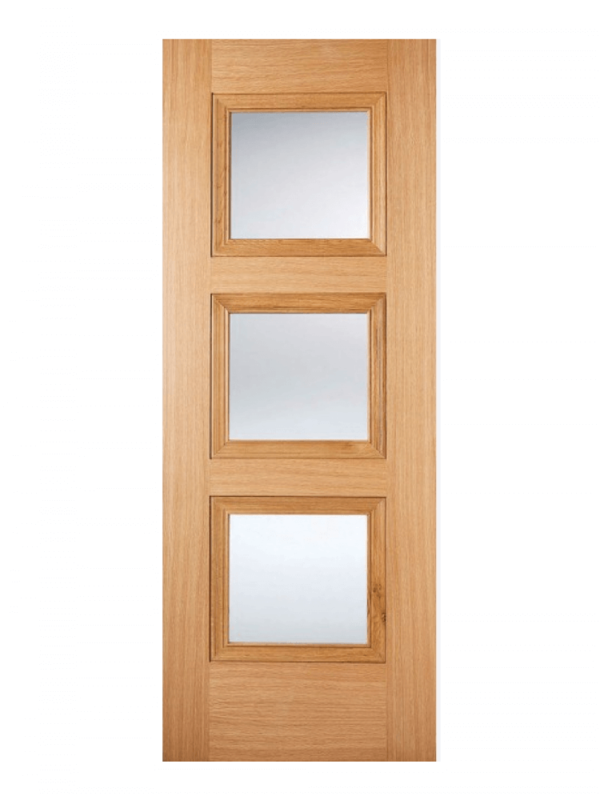 Manufactured door featuring 16mm solid oak lippings over a solid core. Faced with an oak veneer, this modern door has 3 clear bevelled glass panels with bevelled edging. Engineered doors are very stable and are designed to limit warping, splitting and small changes in size with the seasons. The door is pre-finished.